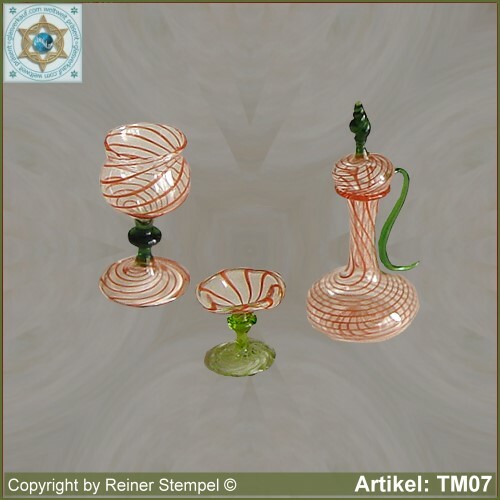 Our hand-made glass products jar, cup, bowl made of glass, miniatures Set 3-pc. stripe glass red green made of Lauschaer glass are very harmoniously and balanced in shape and color design. Wherever they are used are very decorative highlights to the eye of the beholder. They are very popular as collectors' items and always a good gift idea. Our miniatures find your place in special show cases made ? ?of wood.